Nurses plan and provide medical as well as nursing care to patients who suffer from poor physical or mental health. Nursing is a career that touches the lives of many by caring for the sick and infirmed. Nurses work with a multidisciplinary team across a wide range of healthcare settings and departments. In general, they provide preventive, rehabilitative and supportive care alongside doctors, healthcare assistants and other medical professionals to those in need. The role of a nurse relies greatly on good communication among medical personnel and patients. Another big part of their role involves being mindful of and understanding the patient’s needs, which requires a great deal of patience and empathy. Upon graduating with a degree or diploma in nursing, you will become a Registered Nurse. You will then start your career as a Staff Nurse employed into a healthcare setting, such as a polyclinic, general hospital or nursing home. Also, nurses can choose to specialise in a particular branch of nursing. For example, they can develop their skills in specialties such as mental health, community health, emergency, midwifery or medical-surgical. 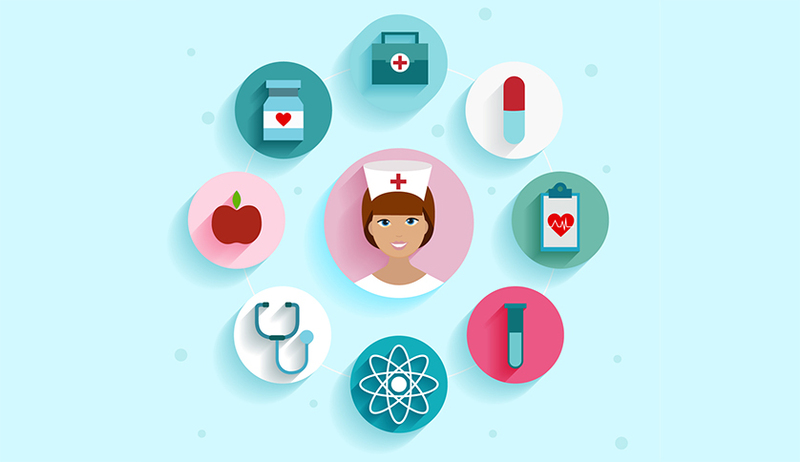 In terms of career development, nurses can choose to progress along clinical, management or even education/research career paths later in their career. Those who choose to advance to the management track will lead a team of nurses and oversee the operations of the ward they are working in. The clinical path, on the other hand, allows nurses to provide direct care to patients. Staff nurses who take on this career track will become a Nurse Clinician, and they can progress to take on the role of a Senior Nurse Clinician, and then Assistant Director, Deputy Director and Director as the highest designation in the clinical track. Staff nurses who progress into the education track will be able to pass on their knowledge and share their experiences to fellow nurses to equip them with higher nursing skills. To become a nurse, you will need to have a degree or diploma in nursing. Aside from professional qualifications, aspiring nurses should also possess personal qualities that are necessary to fulfil what is required for the job. These qualities include compassion, commitment, drive and dedication to patient care and organisation. Nurses should also be confident and remain determined in situations that can often be traumatic and stressful. Emotional strength and the ability to think on one’s feet are hence important qualities for a nurse. Additionally, it is important for nurses to be able to work with and treat people from all walks of life. Good bedside manners and patience will help them go a long way in a nursing career. Similar to most medical professionals in the healthcare industry, nurses can expect to serve round the clock. They will be working shifts; often times in rotation. For instance, work shifts may be from 7 am to 3 pm, 1 pm to 10 pm and 9 pm to 7 am. This may be a problem for graduates who want to achieve the ideal work-life balance. However, nursing is a meaningful profession – one that gives you many opportunities to serve and care for your community. Also, there are generous sponsorships for postgraduate and advanced clinical education for nurses, thanks to the National Nursing Taskforce by the Ministry of Health in Singapore. Those who value lifelong learning will find these perks rewarding and fulfilling in the nursing career. Bulls, hedging, stagflation... did you just wander into a farmers’ convention? Here are some key banking and investment terms deciphered so you can sound informed at graduate job interviews. We all know that body language is important – but how important? Singapore’s Smart Nation initiative means the country is focused on the development and pervasive adoption of digital and smart technologies.